Visit GCCA on First Friday February 2, 2018 between 6 - 9pm for the Main Gallery exhibition opening of Studio South & Works by Cecilia Feld. Studio South features 17 women who were integral in the development of the Greenville arts community. 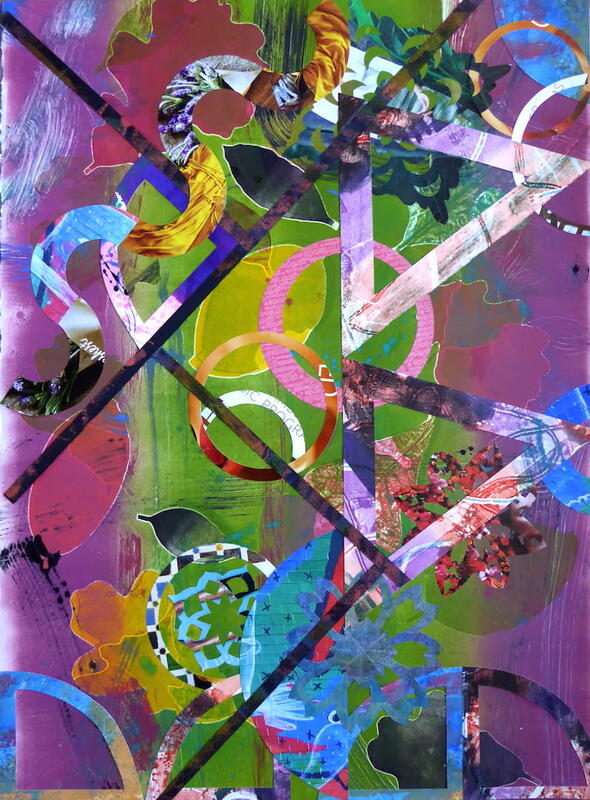 Cecelia Feld is an abstract collage and mixed media artist from Dallas, TX whose colorful work deals with the nature of abstraction. This exhibition will be on display from February 2 - March 27, 2018.